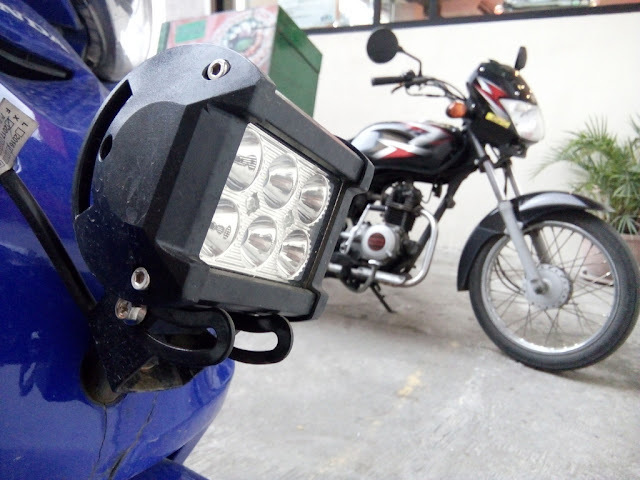 After series of consultations with different motorcycle organizations, the Land Transportation Office (LTO) has issued a memorandum on March 15, 2016 to its regional offices regarding rules and regulations about motorcycle lights, specially LED lights. The memo said, that, all motorcycles must be equipped with accessory lights like headlight, tail light, signal lights, and break light. A headlight should be yellowish in color, can be directed downward, and no blinker mode. Other colors are not allowed like blue, green, etc. It should have a high and low beam so you can direct it downward or upward whenever it is necessary. Blinking headlamp is not allowed on any vehicle. A tail light must be in red color and no blinker mode. White tail light may cause temporary blindness or visual impairment to the driver behind you and blinking tail lamp can be mistaken as stoplight or may confuse the driver behind you. Signal lights must be yellow, amber, or orange only. Other colors are not allowed, it could be mistaken by driver behind you as one of your light accessories only. Only 1 stop light is allowed and must be at the rear of motorcycle. It must be turned on only when the break system of vehicle is applied. If the stop light is combined with tail lamp, it must be 5 times brighter than tail light and turned on when break system is applied. Break light lets the driver behind you know that you are stopping or slowing down. Additional lights like parking lamp, fog lamp, plate lamp, and auxiliary lamp, are allowed as long as they conform with the requirements. For parking lamp, it should be white, yellow, or amber; and red on rear. It should only be turned-on when engine is not in operation and not moving. All lights must be lit simultaneously. Fog lamp must be white or selective-yellow and only 1 is allowed. Illuminated lights by fog lamp and headlamp should not come in contact or must be installed from headlamp; and both must have its different switches. It can only be used on heavy rain, thick fog, or similar condition. Motorcycle's plate number should have white lights so your plate number is clearly visible at night. It should not be turned off or must be turned on when headlamps or parking lamps are turned on. Auxiliary headlamps should also have its own switch and color must be white or selective-yellow. It should not be disturbed by vibration or shock where it is mounted. Must be directed downward and never towards the left side of motorcycle. Only two auxiliary lamps is allowed with 6 bulbs each, but should not be combined or installed side by side to form a bar. Its optic axis should be at least 20cm downwards. It should be installed not higher than the handle bar and should not be used as replacement of headlamp. Auxiliary lamps should not be used in a well-lighted places, thickly populated area, or when meeting other vehicle on public highway. Only LTO law enforcement officers and agents deputized by LTO to enforce the provision of RA No. 4136 and other related land transportation laws, rules and regulations, are allowed to apprehend violators of this memorandum. Agents deputized by LTO for anti-drunk and drugged driving act, anti-smoke belching act, and anti overloading law are not allowed to apprehend. For more information, you may contact LTO here. You may also download the memo from LTO here.